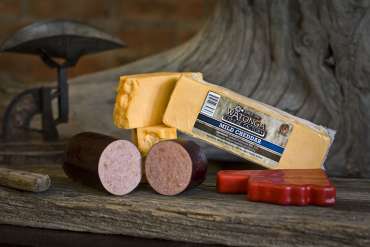 Are you a real cheese lover? 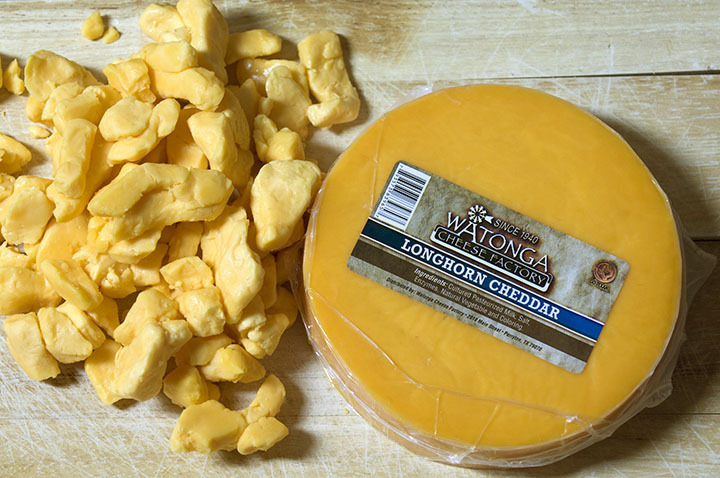 With two pounds of our longhorn cheddar and two pounds of our famous cheddar cheese curds—our two most popular items—you can’t go wrong. Packaged in a box with our logo, each Watonga Cheese Factory gift set arrives at its destination just as fresh as if the recipient purchased it at our factory. 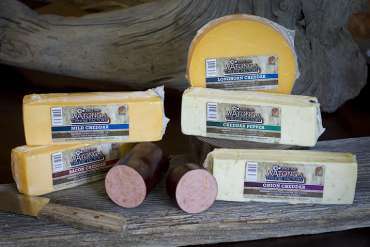 The Wrangler includes a pound each of mild cheddar, onion cheddar, bacon cheddar, and cheddar pepper cheeses, a stick of Watonga Cheese sausage, and two pounds of our famous longhorn cheddar. Rustle up some great flavor with this tasty treat! 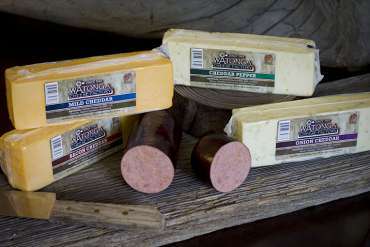 This gift box includes a stick of our Watonga Cheese sausage, two pounds of our mild cheddar cheese and a four-ounce specialty shape of cheese.